According to a recent news article from the Boston Herald, a man was arrested for setting up a fake DUI sobriety checkpoint in Pennsylvania. Authorities say defendant, a 19-year-old man from Summerset, was allegedly driving drunk when he parked his car diagonally across a state highway. After parking his car in such a manner, he went to his trunk and took out road flares, which he then ignited and deployed on the road as part of his DUI checkpoint. This was around 4 a.m.
One motorist who was stopped alleged that defendant said he was a Pennsylvania State Trooper with the agency’s “drug and alcohol division.” Motorist says defendant then demanded to see her driver’s license, registration, and proof of insurance. It is not known how many other vehicles he allegedly stopped or what he intended to do after stopping them. Authorities have not said whether someone called them about this suspicious DUI checkpoint or they came upon in on their own, but when they arrived at the crime scene, defendant allegedly tried to hand a BB pistol to a passenger in his vehicle, saying he could not get caught with the gun. The police the conducted a preliminary investigation and determined there was probable cause to place suspect under arrest for driving a motor vehicle under the influence of alcohol and impersonating a police officer. He recently waived his preliminary hearing, and his attorney has not answered various requests for comment, according to media reports. There has been no motive presented as to why defendant would set up a fake DUI checkpoint and proceed to stop cars. It is important to note that defendant is presumed innocent of all charges unless and until he is found guilty in a court of law. As our Boston drunk driving accident attorneys have seen, alcohol not only impairs one’s ability to safety drive a vehicle by slowing reaction time and affecting coordination, it also impairs judgment. Impaired judgment is evidenced first by the willingness to get behind the wheel of a vehicle when intoxicated. It is also apparent in the decisions made while driving, such as operating too fast for the road conditions and failing to observe traffic regulations. 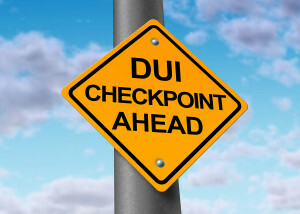 This negatively-affected judgment caused by being drunk often leads to serious drunk driving accidents, and the at-fault driver doesn’t need to be impaired anywhere near the point where he or she would consider setting up a fake DUI checkpoint to put people’s health and safety in danger. While reduced inhibition or impaired judgment may seem like an abstract concept, the National Highway Traffic Safety Administration (NHTSA) has actually conducted numerous studies, dating back to the 1970s, which were designed to quantify the individual and combined effects of drunk driving, and reduced inhibition and impaired judgment are both quantified in their research. The agency has created tables designed to show the effects of alcohol on the human body at various levels of intoxication and then show how these differing levels of intoxication can affect one’s ability to safely drive a motor vehicle.